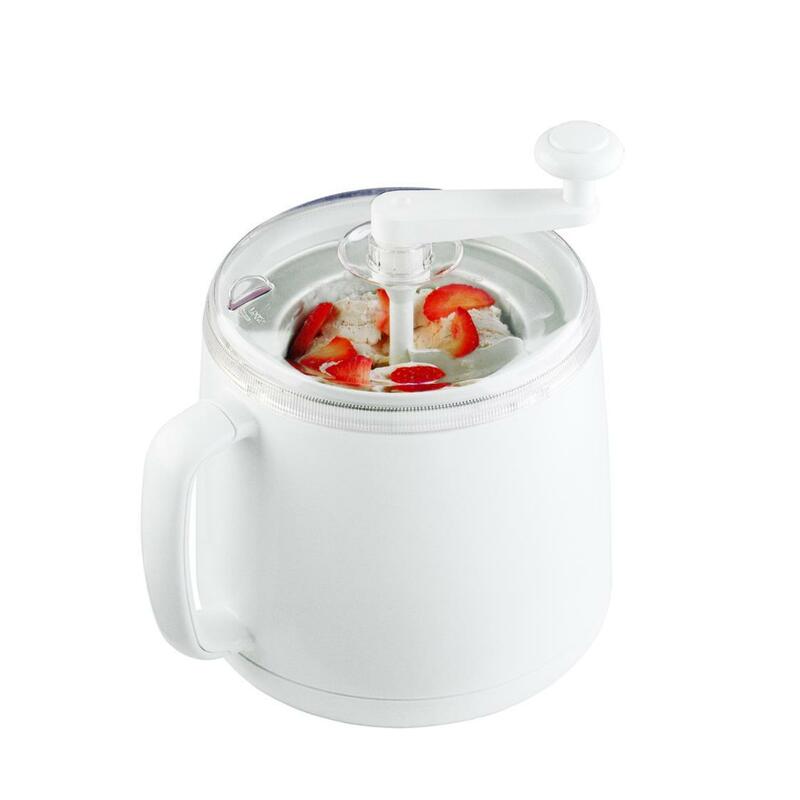 Treat your family to all-natural gourmet ice cream, healthy frozen yogurt, refreshing fruit sorbets and creamy non-dairy soy desserts in 20 minutes or less with just a few simple ingredients and the 1 qt/1 L Donvier Premier Ice Cream Maker. Uses no electricity, salt or ice; freezer bowl and paddle do the work. Features the patented Chillfast cylinder, plus a double-walled freezer cylinder holder for extra insulation. Simply freeze the Chillfast cylinder overnight, add your favorite ingredients and turn the handle occasionally. *Makes 1 quart/1 L of ice cream, sorbet, frozen yogurt & frozen drinks. *Easy to use and easy to clean. *One year limited manufacturer's warranty.